Twitter, the social media giant bought and integrated it’s latest app, Vine: a 6 second video sharing tool with surprising results. Two weeks later, the potential of Vine caught on, with numerous stories, ads, contests springing up which the same old text ‘tweets’ didn’t inspire. Although the concept isn’t new, the growth of Vine is based on its simplicity and it’s association with the social media phenomenon that is Twitter. But as with all Social media innovations, how does Vine associate itself with business strategy and marketing? Here are a few ideas how. A product demonstration in 6 seconds is at most a fleeting glimpse. Although it is impossible in a conventional way, a well thought plan for the video could inspire the viewer to look for more. A six second burst works well only in memorability. A promotion works better in 6 seconds rather than a product demonstration but it needs to stand apart from others in creativity and a well designed curiosity. 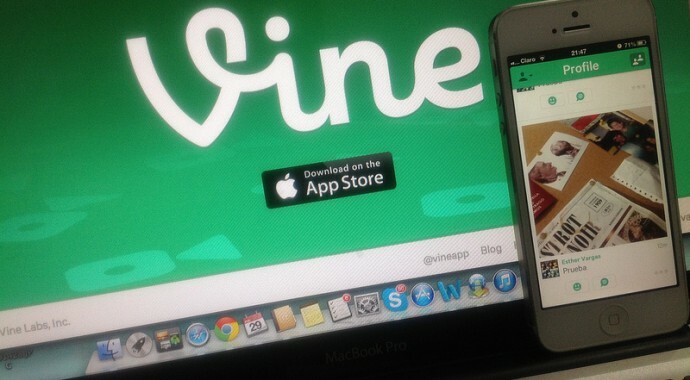 Just as with a product promotion, Vine could serve you to take your brand to the social media world or reinforce it. Building up a brand personality, usage of short memorable messaging could etch your brand into the minds of the Tweeters out there. With a series of short videos, you could present short-webinars or feature promotions. This will allow you to have a brand channel that attracts interested parties. Viral advertising has been here for sometime. With videos it’s even a greater possibility. If your business promotion goes viral, your image will probably be familiar with many people. Vine is an asset in this regard. Vine is young and not without competitors. However it’s timing and length restrictions have caught on in a world with very short attention spans. The latest trends do wonders to business success, if one knows to keep a lookout. Incorporating Twitter and Vine to your business today may just be the kick-start you were looking for!.